Providing you the best range of aluminium air cooler, industrial air dryer and steam radiator with effective & timely delivery. 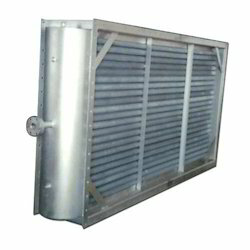 We are among the leading names in the market that are engaged manufacturing and supplying Aluminium Air Cooler. 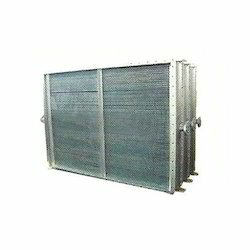 The Air Coolers offered by us are highly acclaimed by the clients fro their instant and efficient cooling. These coolers are assembled using superior quality components sourced from the trusted vendors of the industry that ensures their reliability. Our range is also acclaimed for consuming less energy. We check our range before the final dispatch to make sure that they are in compliance with the standards of the industry. We are listed amongst the prominent manufacturers and suppliers of Industrial Air Dryer. The Air Dryers offered by us are highly acclaimed by the clients fro their instant and efficient cooling. These coolers are assembled using superior quality components sourced from the trusted vendors of the industry that ensures their reliability. Our range is also acclaimed for consuming less energy. We check our range before the final dispatch to make sure that they are in compliance with the standards of the industry. 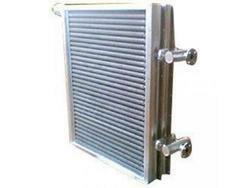 Owing to the presence of our expert team members, we have been able to offer a wide range of Steam Radiator. These are available with us in various range and models as per the exact demands and requirements of clients. Our devices are admired for their application specific construction and longer service life. Our company offers these steam radiators in custom designs thus meeting the needs of our clients at most competitive prices. Solid foot mounted worm gear design. An efficient lubrication system ensures oil supply to gears and bearings. Hardly needs any maintenance except oil levels. Looking for Steam Radiator ?